What is that bright light that awakens all the sheep from their sleep in the middle of a winter night? And by the way, where is the shepherd? Has he been abducted by an UFO? Or does this have to do with that girl, that has to born in a near stable? Slowly more and more sheep take the way to that direction in order to see what is going on. But in Bethlem there is a huge confussion. Will they get to see anything at all? 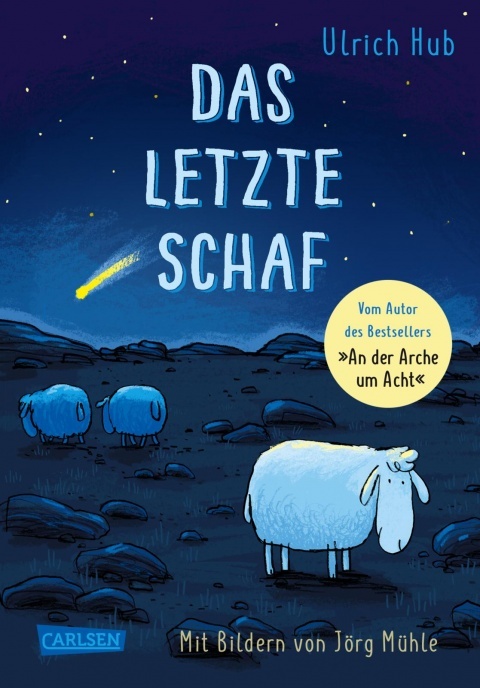 This is an amazing funny text, great illustrated by Jörg Mühle, and with more than 42.000 copies sold in Germany in only 3 months!